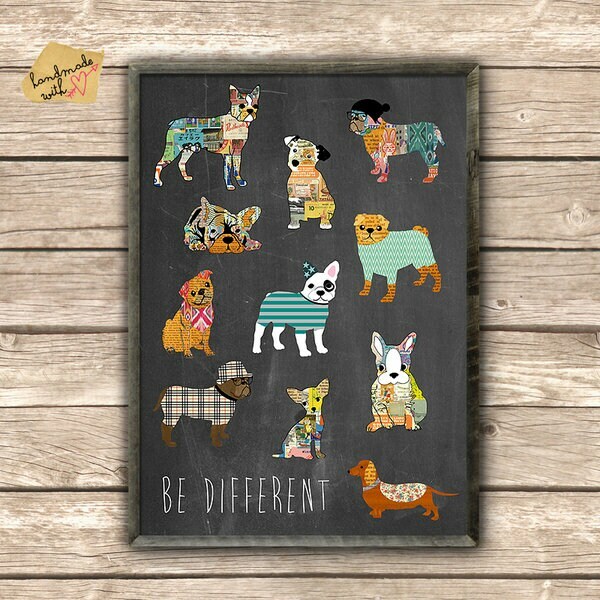 Be different-dog posters with French bulldog, Dachshund, Jack Russel, Pug, English Bulldog etc. 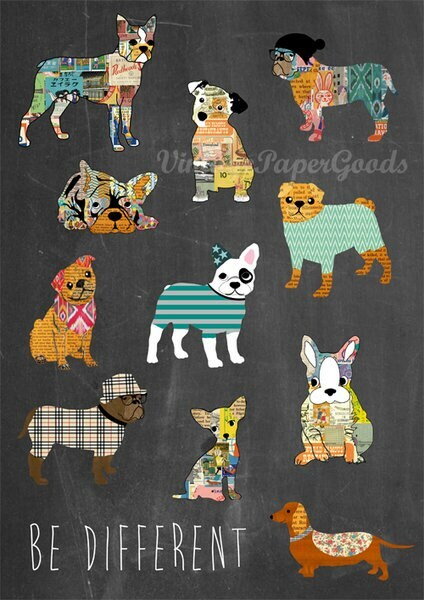 on blackboard background. I also like to print a name at no extra charge on the posters. Please contact me with special requests.